Not the most original title but I am hopefully now back to blogging more regularly than I have been in a long time, plus I am back from a trip to Barcelona! 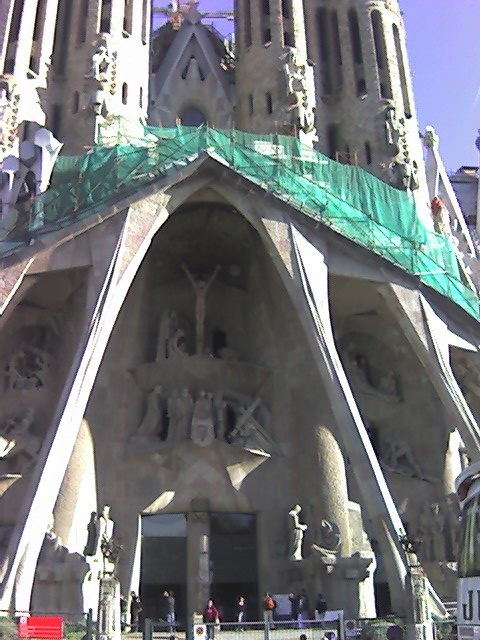 Our hotel was only about ten minutes walk from Gaudi’s famous church which after over a hundred years is still under construction, and which some say may never be completed! It was only a short trip but it was still great to get away. 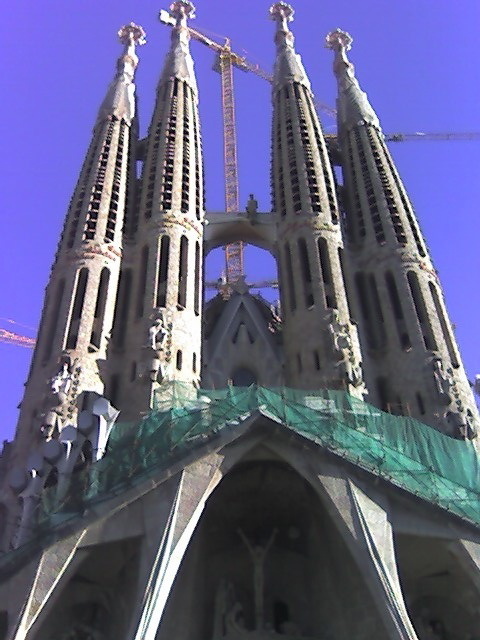 It was my second visit there, the first time was over twelve years ago, and I saw more of the city this time. We took the open top bus trip which I’d recommend to anyone wanting to see the city since it’s good value at 19 euros for one day or 24 for two days. But don’t make our mistake and think that you have to buy the tickets before you can get on the bus and then spend ages looking for somewhere to buy the tickets! You can buy them right on the bus. There are three routes, we took the red line first and went to Park Guell where I made my only purchase during the trip, aside from some duty free, a model of the famous mosaic dragon that greets you at the park entrance. We also spent a long time in the Museu Picasso. This was also one of the first times since I began to knit that I’ve been abroad and haven’t bought any yarn. This was for a couple of reasons – number one being that I don’t actually need any more yarn really and number two being that since we only had one real day there there just wasn’t enough time. Maybe next time. I’m serious about the no yarn buying though, these days unless it’s for a particular special project, I rarely buy yarn unless it’s really special. In particular the experience of moving house over a year ago taught me that I have a lot of stuff! I’m not going to cease buying yarn altogether of course, don’t be silly!, but I do have to do some destashing.